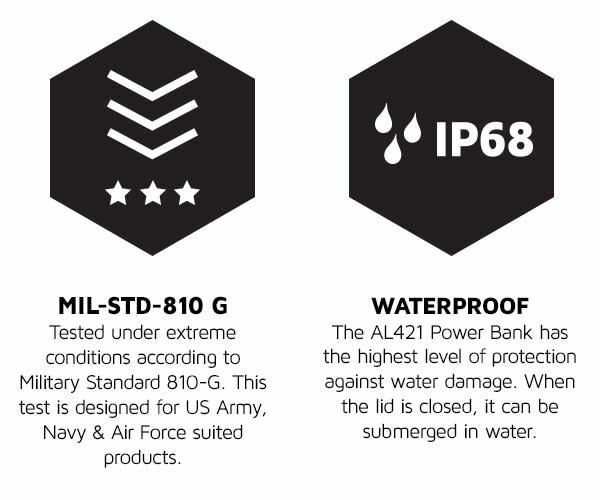 This powerful Power Bank has an ultra strong casing and meets military standards. The Limitless has an IP rating of 68, which indicates that it is completely submersible. The Power Bank is also drop-resistant and will consequently survive even the most extreme circumstances. So accidentally letting it crash off a cliff or dropping it into the water need not be a problem. Thanks to its portable design with carabiner clip, the Power Bank can easily be clipped onto a backpack, belt or tent. 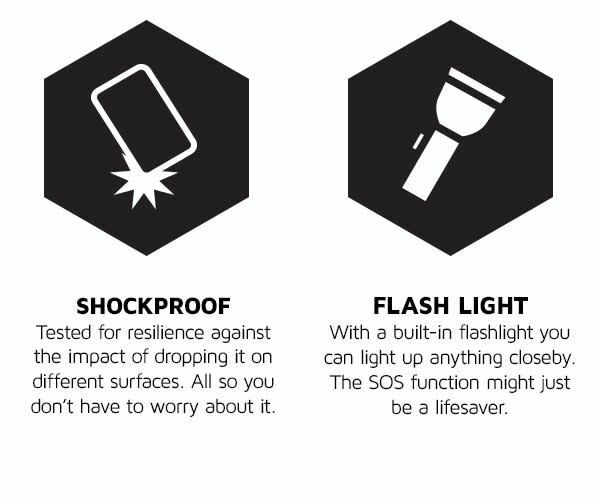 In addition to which it includes a handy torch and even an SOS function. 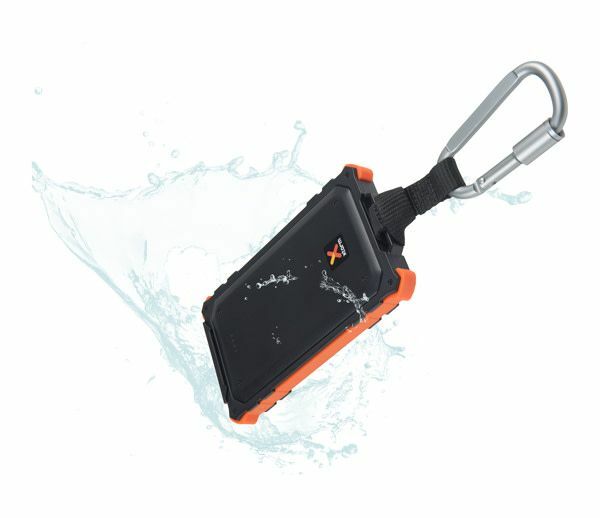 The Waterproof Power Bank has a powerful 10,000 mAh battery; that's enough to recharge a smartphone at least five times. The high input and output means that both mobile devices and the Power Bank itself charge very quickly. Thanks to the two USB ports, furthermore, two devices can be charged at the same time. 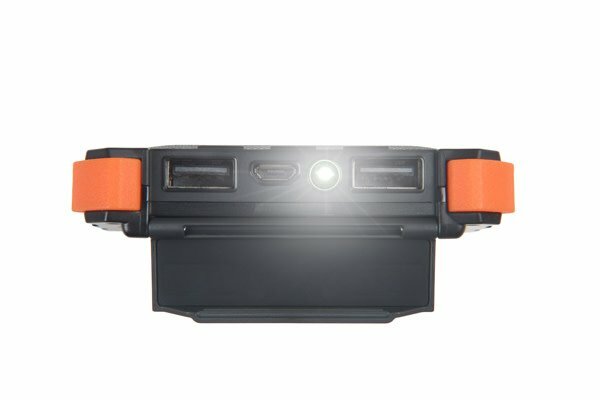 LED lights indicate the remaining battery capacity. 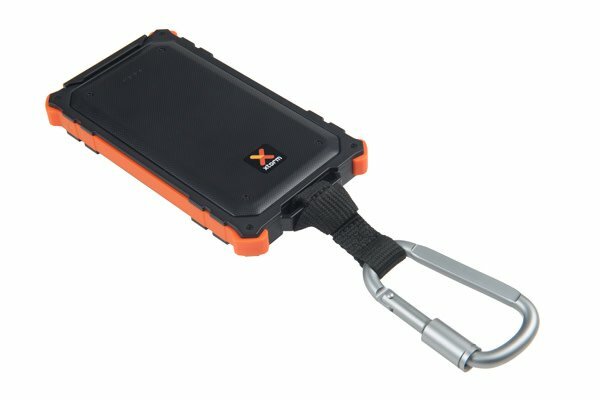 With this ultimate survival Power Bank you'll always have a reliable back-up battery to hand so let the adventure begin!